My fascination with pickled eggs began many years ago. I was watching an old western movie on TV. Imagine a dingy saloon scene if you will and on the bar was a big jar of pickled eggs. Back then things like pickled eggs and salty snacks were on the bar. The thirst caused by the salty tidbits boosted the sale of the beer. One of the cowboy protagonists reached into the jar and fished out an egg to enjoy with his beer. In that moment I decided I wanted to try pickled eggs too. That little desire has stayed with me over the years and I have collected and concocted many pickled egg recipes. I hope you enjoy this one as much as I do. *I like my eggs slightly on the more vinegary and spicy side so I use less sugar and spices, however if you care for the bread and butter pickle taste do use the larger amounts of ingredients as listed. Add sugar, water and vinegar to a stainless or glass pot. Add all vegetables and spices; heat and simmer until sugar is dissolved. 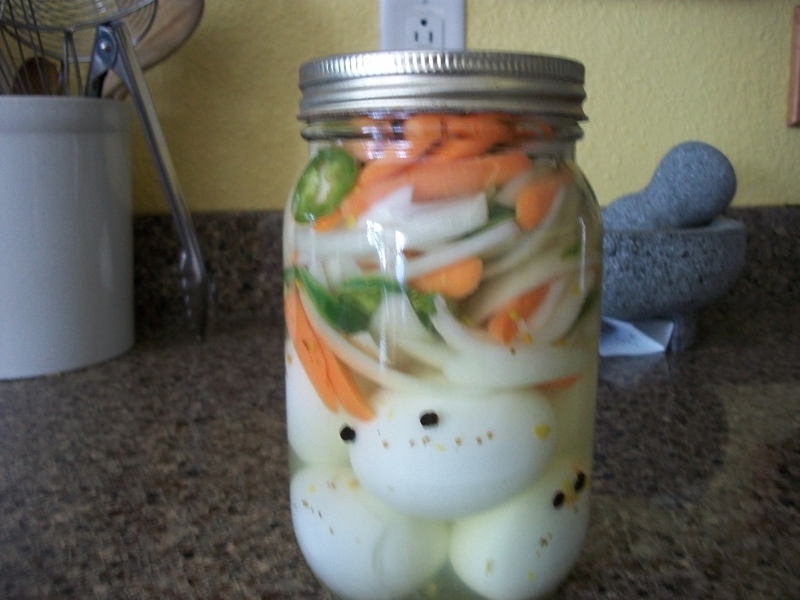 Place eggs into a 1-quart mason jar, add vegetables filling the jar to the very brim. Add the liquid; cap and place in refrigerator for several days for flavor to develop. 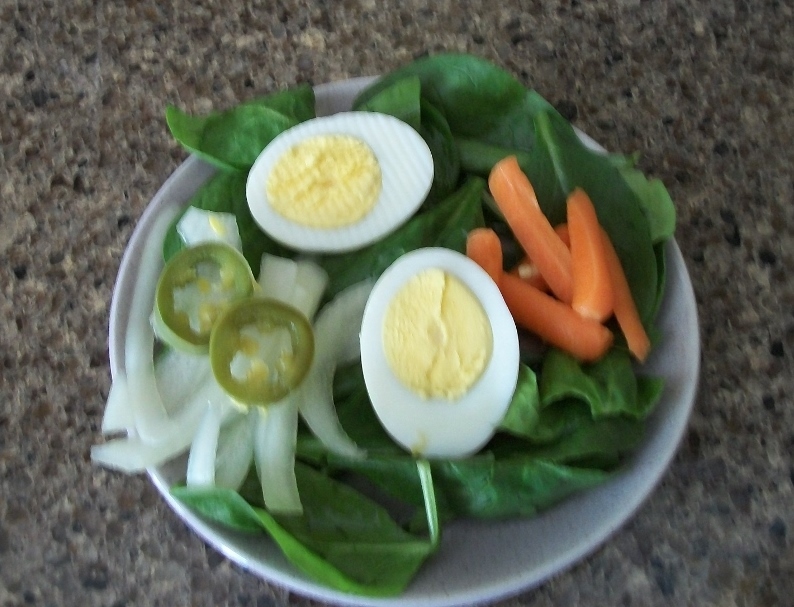 OR place sliced eggs in a small platter, spoon vegetables around sliced eggs, I like to garnish with paprika sprinkled lightly over the eggs and a garnish of fresh parsley, you can also place the eggs and vegetables on top of a fresh bed of spinach.